A police officer in Argentina has been praised for stepping in to breastfeed a malnourished baby brought in to a hospital where she was on guard duty. Celeste Ayala was working at the Sor Maria Ludovica children's hospital in Buenos Aires when six children arrived, having been taken in by social services. The youngest, a six-month-old boy, was described as "dirty" and crying. Ms Ayala offered to breastfeed him, as she was told the baby was malnourished. One of the social workers agreed and Ms Ayala took the child in her arms. She told local media: "I noticed that he was hungry, as he was putting his hand into his mouth. So I asked to hug him and breastfeed him. "It was a sad moment, it broke my soul seeing him like this. "Society should be sensitive to the issues affecting children, it cannot keep happening." The moment was captured in a photo by another police officer and posted on Facebook, where it has been shared over 100,000 times. They said they wanted to "make public this great gesture of love". "You don't care about filth and smell," the post added. "Things like that are not seen every day." 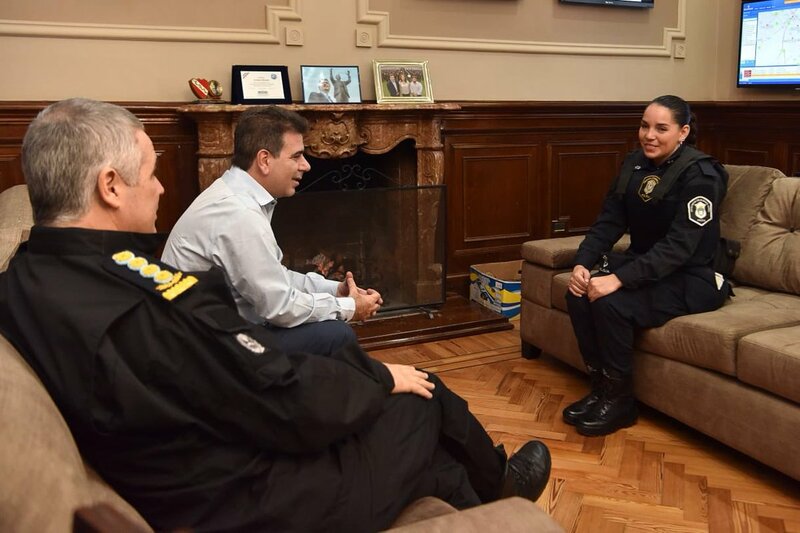 Ms Ayala, who reportedly has a one-year-old child, was promoted by Buenos Aires' police chief Cristian Ritondo days after the picture surfaced. "We wanted to thank you in person for that gesture of spontaneous love that managed to calm the baby's cry," he said. The Bomberos Voluntarios Berisso fire brigade, where Ms Ayala volunteers, paid their own tribute. "Actions like these fill us with pride and obligate us to redouble the effort, the work and the solidarity with our community," they said.